The Old Bell Tower Of Curon Venosta Church Rising Out Of The Waters Lake Of Resia, Graun Im Vinschgau Village, Trentino-Alto Adige Region Of Italy, Europe. Gorgeous Scene. Explore The World's Beauty. Fotos, Retratos, Imágenes Y Fotografía De Archivo Libres De Derecho. Image 116568689. 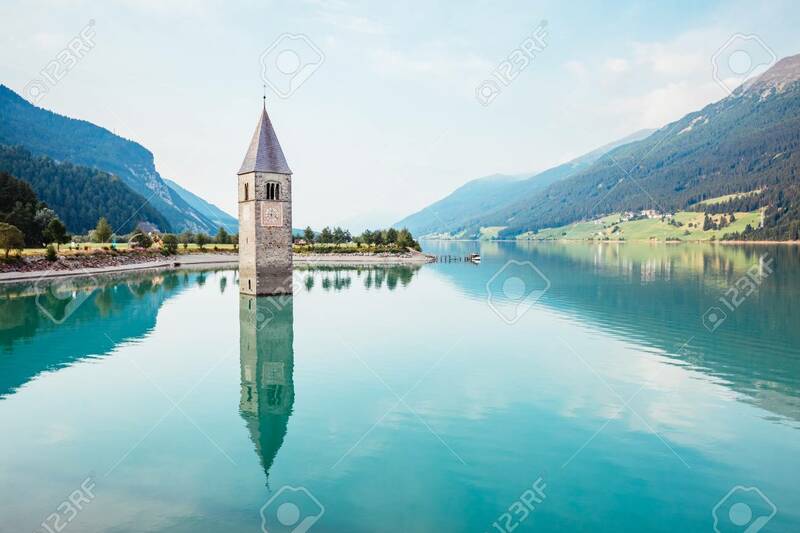 Foto de archivo - The old bell tower of Curon Venosta church rising out of the waters lake of Resia, Graun im Vinschgau village, Trentino-Alto Adige region of Italy, Europe. Gorgeous scene. Explore the world's beauty. The old bell tower of Curon Venosta church rising out of the waters lake of Resia, Graun im Vinschgau village, Trentino-Alto Adige region of Italy, Europe. Gorgeous scene. Explore the world's beauty.